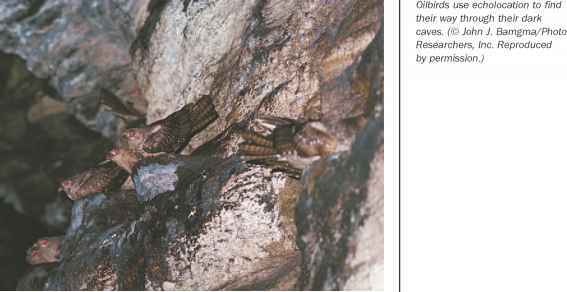 Oilbirds are frugivores, animals that eat fruit. 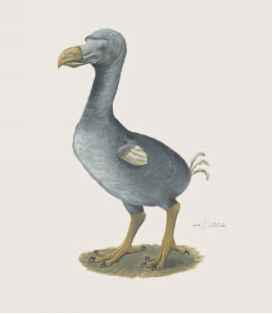 Oilbirds eat the fruits of palm trees, laurel trees, and avocado trees. BIRDS AS AN OIL SOURCE? In centuries past, people in Central and South America realized that the fruit-eating birds were a source of oil. People captured the plump nestlings and boiled them to obtain yellow oil. People cooked with the oil and used it to light their lamps. In the twenty-first century, oilbirds became a protected species in many countries, so they are no longer hunted for their oil. seeds. Regurgitation is the process of vomiting, removing food in the stomach through the mouth.